I am a counter. That’s how I know that there are 276 stairs up to the overlook. Or maybe it is 278. For not only am I a counter, but I am a careless one. I blame the voices in my head—the ones that reiterate over and over whatever it is that I am focused on today. Or the other, more random (and more frequent) ones that start and stop thoughts with frightening regularity. I think I count because I want to control my environment. If I know how many steps I have to climb, then I am in charge. Written down in stark black and white that seems crazy. And yet, I still count. For example, we have now 121 words (122). But my purpose was more than counting. Indeed, yesterday, after I climbed the stairs and started making my way down the road, I thought this posting out in my head. It started with counting, then moved into…what? I cannot remember, though I am sure it was pretty brilliant. This is a recurring problem. I think about things, intend to follow through with them, but don’t. Why? Probably because, like you, I’m hoping for a magic bullet. The one thing that will solve IT all, whatever IT might be. If only I had a magic bullet, I wouldn’t write my best material in the shower or at the gym or while I am walking down a steep road; I’d do it when I was sitting down, at the computer or pen in hand. I wouldn’t think of all the perfect words I’d use, I’d simply use them. In short, I’d be on top of it all in real time, every time. But there is no magic bullet and I’m not on top of anything most days. If this sounds like you—especially you and fundraising—welcome to the club. The hardest part of being a consultant, I find, is getting my clients to focus and make time for the very thing they hired me to help them with. Often, ironically, that is the fact that they don’t seem to have time to get out from under and get out to meet with prospects. 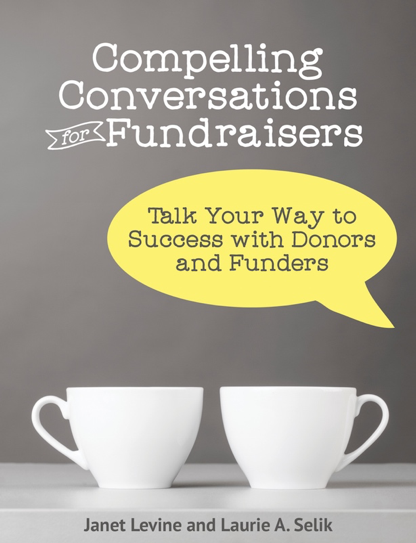 Over the years, I learned that there is a magic bullet (of sorts) in fundraising. It is this: Be consistent. Don’t start and stop; don’t do one thing once then drop it for another. That consistency means that even though you don’t have time to do whatever it is, you do it anyway. And somehow we always find the time. Which is the true magic bullet. While I hate quoting slogans, in some ways Nike had it right. We agonize, we avoid, we plan, then we plan to plan. What we really need to do is to sit down and do it. If “it” seems too daunting—and it generally does—then break it down into manageable pieces. That’s why I count. Two hundred and seventy something steps are too many to climb. But one—that I can do. And then another, and another, until I—like you—reach the top. This entry was posted in fundraising, productivity and tagged consistency, counting, fundraising, Goal-setting, magic bullets, planning, productivity, time management. Bookmark the permalink.